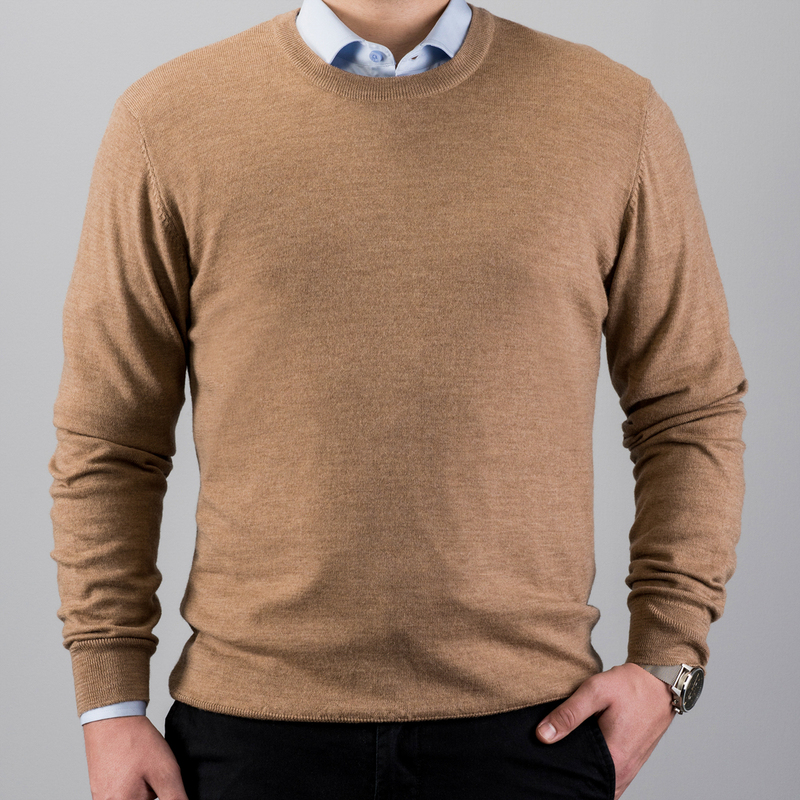 Classic crew neck sweater in camel that can be worn all year around and is easy to match to the rest of your wardrobe. The sweater is soft and light. Knitted in high quality fine merino wool with rib knitted edges.